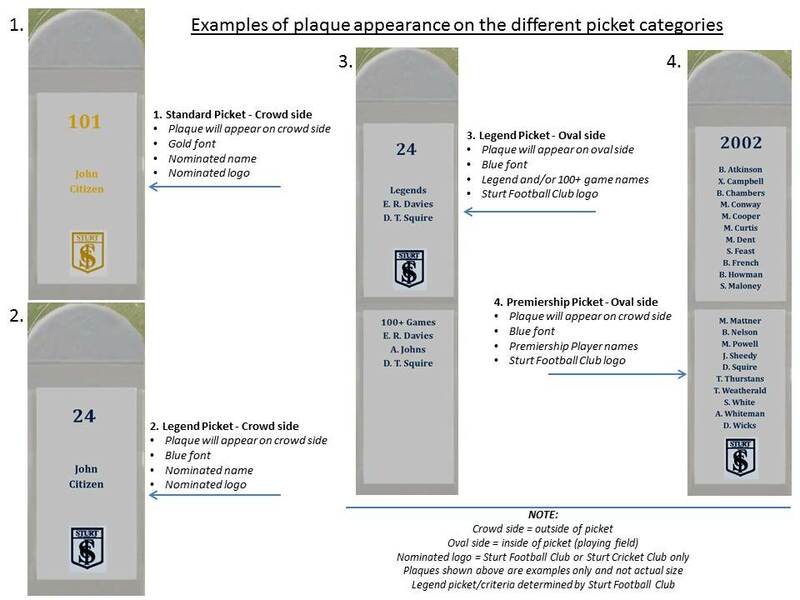 With their Buy a Picket campaign the Sturt Football Club have secured the 1/3 rd contribution they were hoping to get from the SANFL to secure the installation of picket fencing around the Unley Oval. I have received word that Sturt, after failing to get a contribution from the cashed up SANFL (if recent reports about their recouping an extra $3 plus million from the success of the Crows and the Power at Adelaide Oval this year are accurate), have by copying the buy a picket program of Adelaide Oval may well have succeeded in getting the pickets around Unley Oval. The motion I moved at Council for the Picket Fencing contained a condition that Sturt who had promised to contribute 1/3 the cost of the fencing would have to find someone else to contribute likewise because we (the Council) would only contribute 1/3. The initially felt they had a good case to put t the SANFL but no grant was forthcoming from them. This is in spite of the rumoured gold mine for the SANFL in the form of the Adelaide Oval. So the Double Blues figured they could copy the buy a picket campaign at the Adelaide Oval. And as I understand it this has been a successful campaign. They have sufficient pledges, perhaps with supporters of the Sturt District Cricket Club also putting their hands up, to cover that final 1/3 cost. If this is the case then I expect they (Sturt) will be providing Council with the evidence very soon and we could see tenders called as early as before Christmas and work commence early in the new year, in time fr the start of the next footy season. If Sturt FC can be as successful on the field as they are currently showing off the field a premiership is probably just around the corner. My family lived in Frederick street and my brother and I played a lot on the oval. We were ardent Sturt barrackers and I wondered is there still pickets available for sponsorship? I would love to put something in memory of my Mum,Dad and Brother. I would be surprised Christine if you cant still purchase a picket. I suggest you contact the club.